McCormack-Nagelsen Tennis Center – From junior tennis programs to adult leagues and private lessons. McCormack-Nagelsen Tennis Center (MNTC) is an award-winning indoor facility. We are home to the W&M Tribe tennis teams, the Women’s ITA (International Tennis Association) Hall of Fame, and serve the Williamsburg community and more. We have six climate-controlled courts with stadium seating, a Pro Shop, a party area, and an enthusiastic staff ready to assist with any of your tennis needs! MNTC hosts Tribe matches, USTA sanctioned events, Charity Tournaments and community service and private events. We offer a wide variety of junior and adult programs coached and managed by our certified tennis professionals. Promote and develop superior tennis programming and high quality instruction. 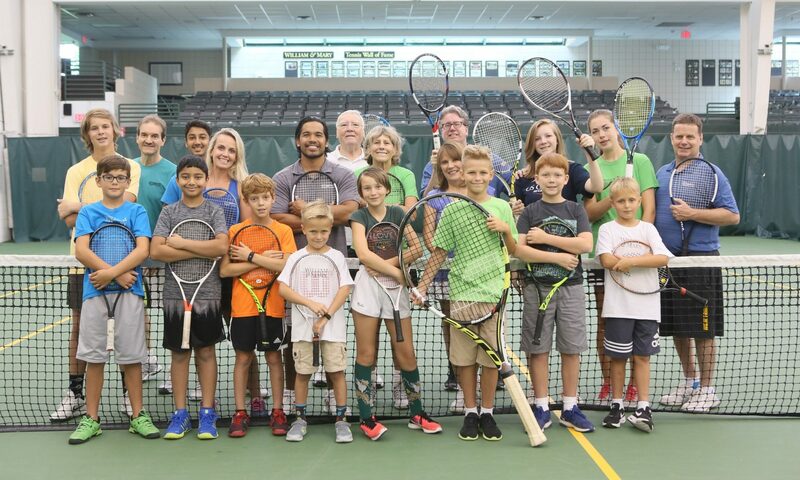 Inspire excellence, create opportunities, connect the community and foster a positive lifelong impact through tennis.